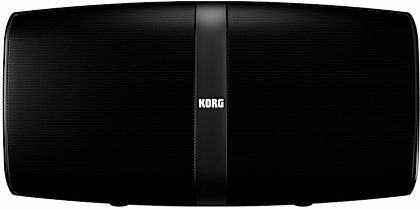 Korg's KONNECT is a portable all-in-one stereo PA system that provides a complete solution for both sound and convenience. It's a single unit that has everything you need for performances, DJ, background music, or MC work in any situation: live shows, parties, dance studios, exhibitions, seminars, or presentations. 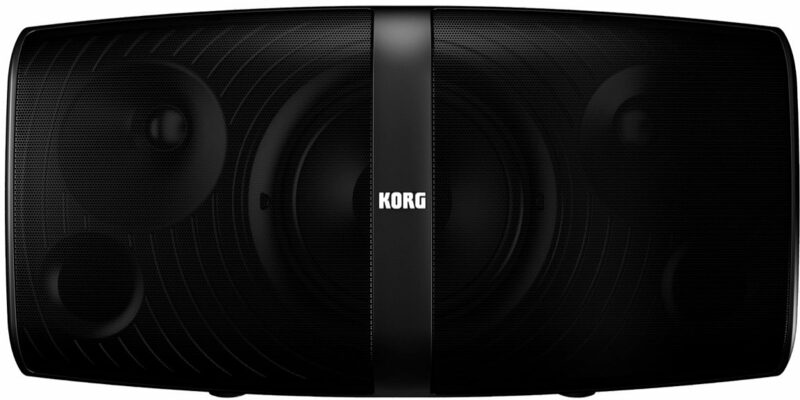 Featuring clarity that's unparalleled in any compact speaker, KONNECT delivers both powerful low-end and loudness. 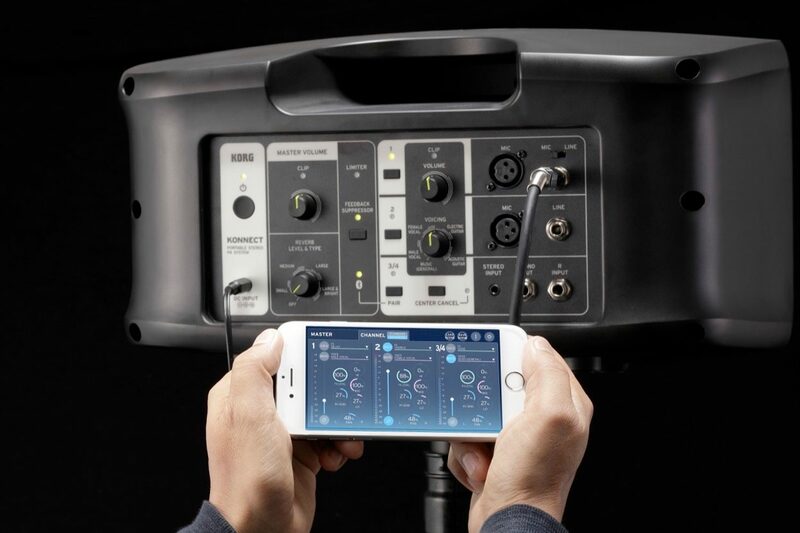 At the same time, KONNECT includes conveniences such as an interface that's easy to understand and operate, a rich variety of EQ presets suitable for any source (the VOICING function), and support for wireless control from your smartphone or tablet. A multi-function amp that's useful in a variety of situations, the portable KONNECT is an easy way to get great sound anytime and anywhere. 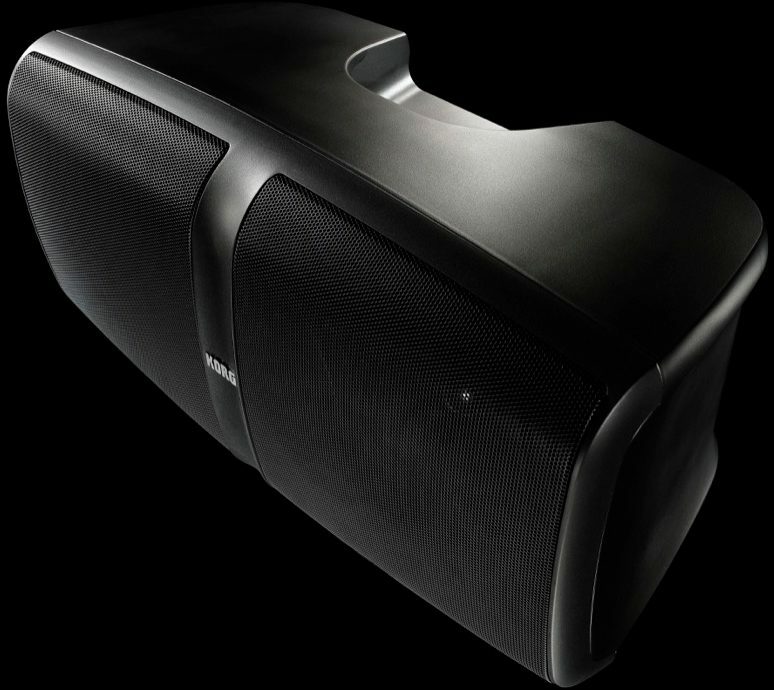 Experience the powerful sound of KONNECT for dance music. 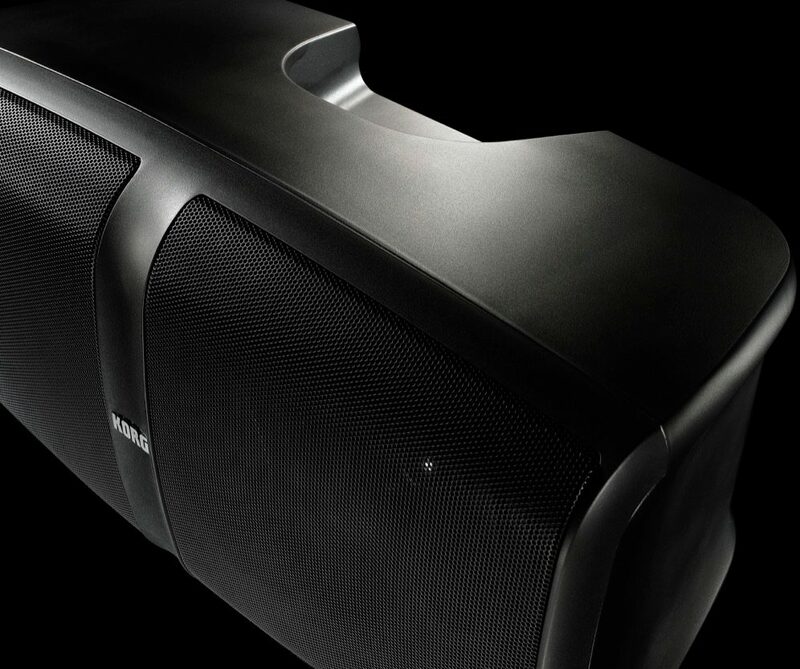 With high output that you wouldn't believe could come from a compact all-in-one stereo speaker, you'll enjoy clear and powerful sound with an ample low range. In a coffee shop or restaurant that lacks a sound system, the KONNECT is an ideal choice for a singer-instrumentalist or for a duo. With a rich array of input jacks, you can connect vocal mics, guitars, keyboards, or other instruments, and use the generous selection of EQ presets (VOICING function) to immediately obtain great sound. The KONNECT is also perfect for events such as exhibitions, seminars, or presentations within or outside your company. In addition to talk sessions that use two mics, the unit also supports presentations that use audio or background music. This compact unit is easy to transport to your location and set up. 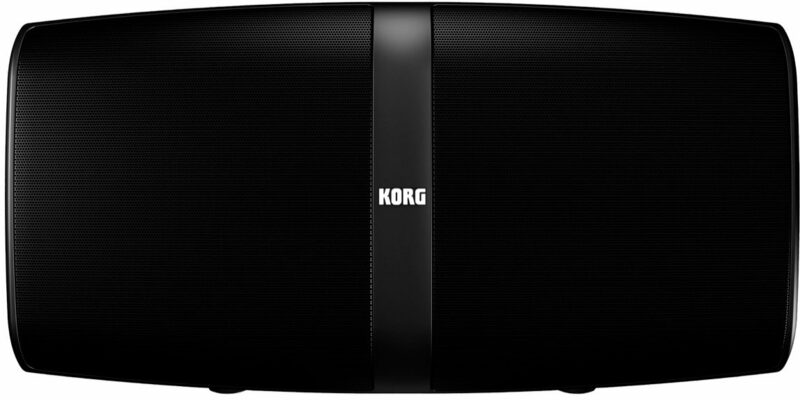 For dancing or working out to background music streamed from your smartphone via Bluetooth. You can also connect a mic for the instructor or coach. Even users without experience with audio equipment will have no trouble using the KONNECT. - Dimensions (W x D x H): 452 mm x 225 mm \0xD7 232 mm/17.80" x 8.86" x 9.13"
- Weight: 5.3 kg/11.68 lbs. *1: It is available to select more types when KONNECT app is used. *2: It is only available to set when KONNECT app is used. *3: When the condenser mic is used, please use the external Phantom power. *4: When the guitar with passive pickups (i.e. 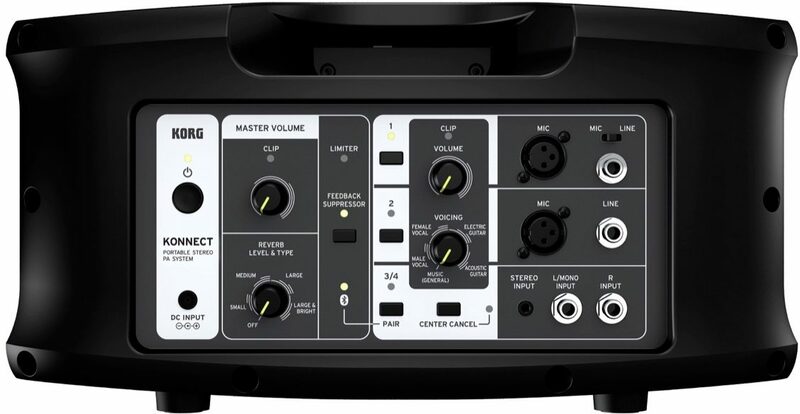 without an internal pre-amp) is used, please connect the guitar via the pre-amp or effect processor. *5: Bluetooth is input to channel 3/4.